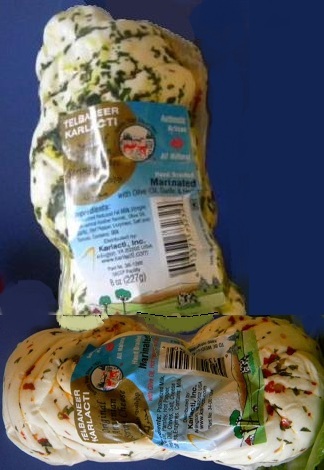 TELBANEER® olive oil and herbs marinated cheeses bring spices, herbs and cheese together in one product. They are the ultimate in convenience cooking. Untangle few braids of our marinated string cheese into some eggs and you have a gourmet omelet. TELBANEER® specialty dairy products: handcrafted olive oil and herbs marinated String Cheeses are produced in a HACCP certified facility which ensures constant cheese quality and safety. TELBANEER® marinated braided string cheeses are a must for all social gatherings. String cheese with olive oil, garlic and herbs. String cheese with olive oil, hot pepper and herbs.